We often underestimate our children’s willingness to get involved in meeting family financial goals. With America’s tax deadline looming, you may be thinking it’s time to organize your finances. This week we will spend an hour doing just that. If you’re a family that has a comfortable income and aren’t interested in saving for something for your family, consider saving for a charity that is important to you. Kids and adults, too, like to donate money for something in particular, so ask about special needs. But you may already have a financial goal in mind like getting out of debt, saving for another vehicle, or a trip. Regardless of your goal, you’ll want to get the kids to buy into it. I love Dave Ramsey’s money books for kids and his finance course for high school students. Dave does a great job of helping kids embrace the goal of good stewardship. Reading a biography of George Muller as a family will remind everyone that God provides. Be clear about the amount of money you need to save to meet your goal. You don’t have to meticulously monitor your spending for months to identify money wasters. First, look over the last couple of months of account statements for credit cards and your bank. Look for service payments you aren’t really using like cable or a home phone. Second, consider ways your are spending more for things you do need. Are you shopping at a more expensive grocery store? Are you paying higher fees for memberships that you could get cheaper elsewhere? Could you take a lunch on trips out rather than buying? Finally, discuss as a family what you spend money on that you would be willing to sacrifice: new clothes, expensive gifts, movies out? Pray that your discussion wouldn’t cause conflict and encourage everyone to consider others’ needs before their own. 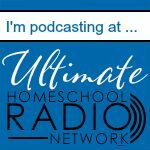 Money Saving Mom is a great resource for ideas on trimming spending. You may be able to meet your goal simply by eliminating wasteful spending, but more likely you will want to find ways to increase income. If you have a charity goal, consider a fund raiser. My kids have loved setting up lemonade stands and bake sales to raise money. If you’re needing income for a family goal, pray about adding work hours or making employment changes. 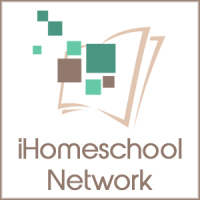 If you’re interested in blogging as a business, be sure to check out my interview with Jimmie Lanley on The Homeschool Sanity Show. Kids can pet sit, babysit, mow lawns, or referee before they are old enough to work other jobs. Teens can get a traditional job or might start their own business. The money kids earn can help contribute to the goal, especially if the kids are motivated to help. If working more isn’t an option, consider selling items you no longer need on a rummage sale, Ebay, Craigslist, or Amazon. For example, I describe the success I have had selling my used curriculum on Amazon in this post. To help everyone stay motivated and accountable, you will want a tracking system. A large wall thermometer with a picture of the goal at the top like this one is a great visual tool. If you want each child to work toward their own goal, this free printable from Parenting Fun Every Day is just the thing. I absolutely love this Savings ATM toy from Young Explorers. It would absolutely make saving fun for the kids. It isn’t inexpensive, so it would be a great gift to request from a grandparent. As an adult, you may need more help tracking your spending and savings. I love the resources available from Crown Financial. They offer everything from a counselor to money management software. 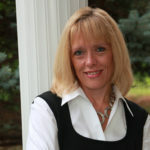 Need help organizing your bills and you don’t like ebills? 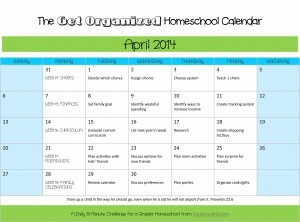 Check out this monthly bill organizer. 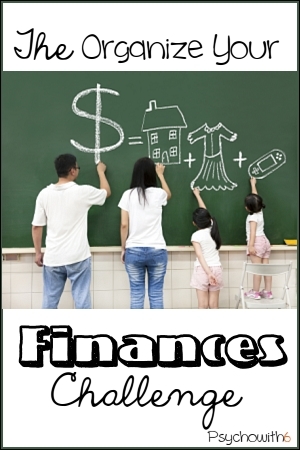 What financial goal would you like to pursue as a family? 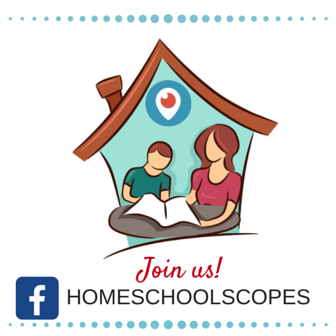 Be sure to follow the Organized Homeschool Pinterest board to get these finance ideas and others. Thanks for providing more information on this, Carol. You offer great resources.